The statistics in this area are sobering. 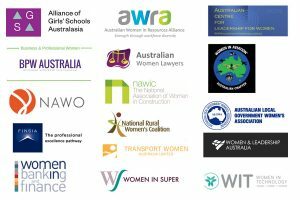 In terms of overt discrimination, the Australian Human Rights Commission reports that in 2018, 1 in every 2 women have experienced sexual harassment during their lifetime, 1 in 3 have experienced physical or sexual violence over the age of 15, 1 in 2 women report having experienced workplace discrimination as a result of their pregnancy, parental leave or on return to work and 1 in 5 mothers reported that they made redundant, restructured, dismissed or that their contract was not renewed. Alongside overt discrimination, women are also discriminated against in terms of leadership assessment, suitability for promotion and assignment to projects and client facing leadership roles as well as recruitment to roles that have been regarded as traditionally male. This campaign will raise awareness of these statistics and the behaviours that perpetuate them and ask society to take an active role in calling them out when they are seen.